The Overwatch League announced it will be sponsored by Coca-Cola. The drink will become the league's official non-alcoholic beverage and will also extend to other Blizzard-supported Overwatch esports scenes. Coca-Cola, Activision Blizzard, and the Overwatch League entered a multi-year deal, according to sources at Sports Business Daily. 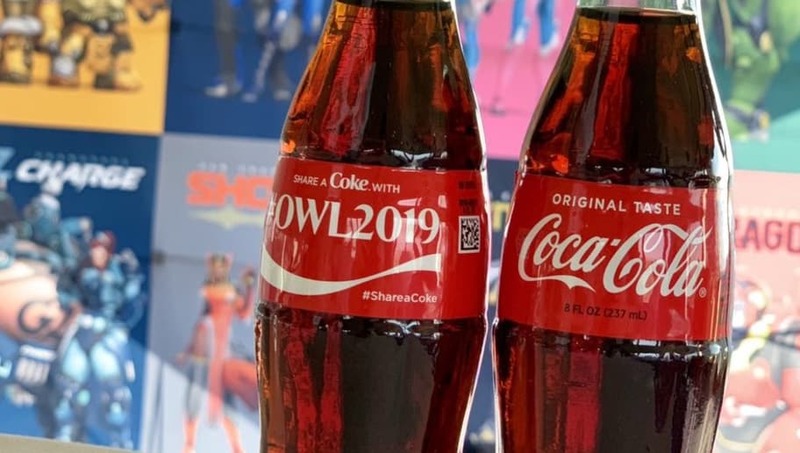 The sponsorship will make Coca-Cola the official non-alcoholic beverage of the Overwatch League and will extend to all Overwatch-related properties from Blizzard -- including BlizzCon, the Overwatch World Cup, Overwatch Contenders, Open Division, and collegiate events. Specific details on the sponsorship were not disclosed in the announcement, but will likely be made public in the weeks to follow. The Overwatch League will return Thursday for Season 2. The league's Community Countdown, which takes the place of the preseason, will begin Saturday with scrims between teams and a couple days of custom games between teams, broadcast talent, and notable names in the Overwatch community.